The device is called Commander 3D and has a 10.1 inch full HD display, powered by a dual-core A9 processor clocked at 1.5 GHz and yet unknown version of Android operating system. It comes with 16GB of internal memory, while the 32GB version is in preparation. 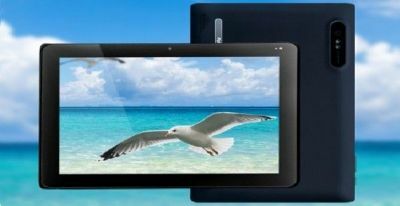 Tablet is equipped with two cameras (front and rear) that support recording in full HD and high quality stereo speakers. The rechargeable battery provides enough power for 6 hours of video playback or 300 hours standby mode between charges. The sale starts on 30th of September in limited quantities and yet unknown price, if you are interested in this tablet, you can sign up for purchase on the official website.